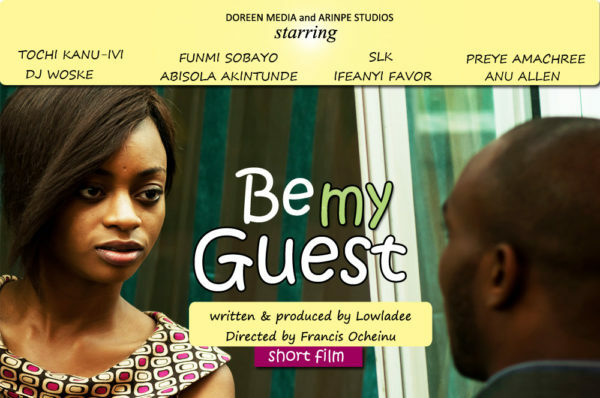 A Tale of Love, Trust, Friendship & Restoration | Watch LowlaDee's Short Film - "Be My Guest"
Starring Tochi Kanu-Ivi (Mimi), Kevin (Dj Woske) as the lead characters, also featuring SLK, Funmi Sobayo, Abisola Akintunde, Preye Amachree, Anu Allen and Favor Ifeanyi. sound is soo bad….. but its cool cos they can improve next time. Y do peeps have their beverage with the tea spoon still in it? Lovely concepts. Nice acts too. Kelvin needs to relax more next time, he appears quite nervous. In all, I give it a thumbs up! Easily the best short film I’ve seen on BN thus far. Weldone to all involved! But women don’t let strangers into your house oh. I wasn’t impressed with the acting at all…good storyline but the actors made watching it a little annoying. Love the story line, Love the issues it addresses , however it is really bad acting! Did that girl just use a spoon to take tea?….o my o my! Uhm yeah. You allow a stranger into your home and spill your guts about your family history? Na so now. kevin….acting is not your thing ……stick to being a dj…..nice film though…..
Oh, Keji Fatunde- DJ Woske. Funny I didn’t notice that. Acting was still crap though. great script..not sure about the directing and acting though. Tell me why this man is pretty much shouting over her, that’s not how to listen. And girl you’re gonna let some random stranger touch you all over the face…when you don’t even know how he got in? Please, where’s my mase? And BOTH of them had the spoons in their tea, stirring like it was gonna become wine. e-bukun!!! I hail o!! LMAO…. I have to write this…I admire Lowla Dee’s writing. Screenplay was good but acting was BAD especially Kevin’s! Her friends were also very conscious of the camera. – The hem of the trousers he had on when they were playing cards was undone. I had to rewind to see that. You can literally see the hemline. -He had the same shirt on from when he cut her on the floor crying to when they were in the kitchen frolicking to when they were dancing. The Director (or whoever is in charge) should have noticed that. The stitch design to the right gave him away. I like the picture quality however and the cameraman worked his angles very well. I am sure your next attempt would be much better. Well done. 🙁 The hem on the trouser situation, last minute wardrobe malfunction. With the shirt repeat, granted, it’s possible it was the same shirt. But what if it wasnt, darling? lol but all in all it was a great experience and the cast and crew were incredibly patient and tireless. Props. Your criticism is a high point! It shows your expectations are high due to the quality of the production, and we will keep that in mind going forward. Hi guys! thanks for the comments. Its my blog’s first pro short film & my friends who have not faced the pro cam before acted to support so pls eaaaasy on them oh Lol! Currently Working on our next short film project and we promise to direct cast better. Wow…powerful message on letting go. I love Mimi’s hairdo and she is so gorgeous. Nice one Kein, fine guy. Great acting by you both. @ lowla dee God bless you for addressing these issue, adults do things in front of kids and we dont know it affect and hunt that child till he/she is an adult, I dont care if the play cast was good or not, the message was perfect for me, one of the best short movies ever! Let’s not forget a fact – dis movie addressed an issue usually ignored in our so-called Nollywood films. I give them a ‘thumbs-up’. And I bliv Constructive criticism’§ wud be more appreciated than some of what I’ve read thus far…4those dat gave it, thanks. 4dose that didn’t,….. Thanks to all that give constructive criticism especially Anon its obvious you know what you are talking about and I’ve literally taken the notes down, that’s what we young especially film-makers like us need, the way forward. One day we shall make great movies. amen? amen! Love to BN Team and readers. I must say this is a very good first try at a short film, sure there are some minor things to work on, but IMO the cast and crew can only get better. Can’t wait for the next film! 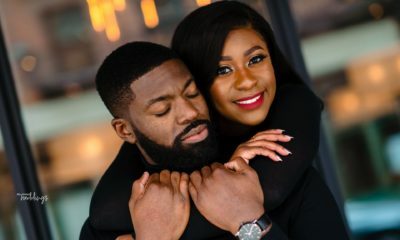 I thought the production was really good and Lowladee (Nigeria’s answer to Tyler Perry *wink *wink) – keep spinning out awesome scripts like this. Oh and to all the naysayers…go shoot your own movie make we watch am!! Oh I forgot..you cant! 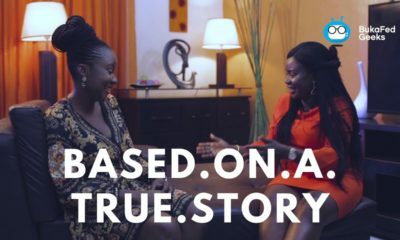 Let’s not forget a fact – dis movie addressed an issue usually ignored in our so-called Nollywood films. I give them a ‘thumbs-up’. And I believe Constructive criticism’§ wud be more appreciated than some of what I’ve read thus far…4those dat gave it, thanks. 4dose that didn’t,…..
1st,not a bad attempt. Footage is clear and the sound isn’t really bad but your actors could have projected a little bit more. Mimi has a flat facial expression and her voice and line delivery does not have the adequate emotion it needs to move the audience. The chemistry between the ladies is weak. It doesn’t portray long time friendship . Kelvin’s line delivery is not on point either. It is flat and so are his facial expressions. 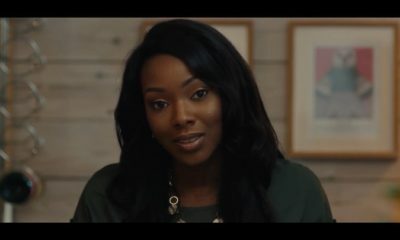 My only issue with the story line is how Mimi opens up to a stranger who comes into her house uninvited. That isn’t realistic. What a movie! Well done. Nancy, we all have that vulnerable moment when you NEED to talk to someone, so even if it’s a mad man that you see at that moment, you will talk o, hence the stranger thing, realistic. awwww <3 i love the last scene. All i can say apart from the message the story is trying to pass across is that: "WE FIND LOVE IN THE STRANGEST PLACES"